The Moody Blues Debut Album ‘The Magnificent Moodies’ 50th Anniversary Remastered Edition Now Available! 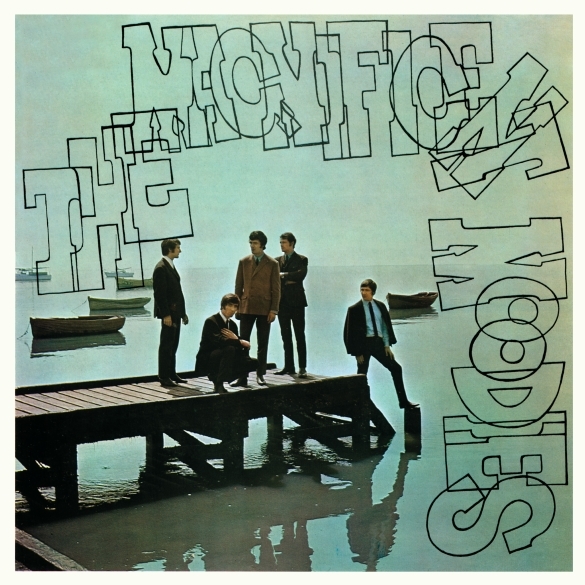 London, UK – Esoteric Recordings, a label of the Cherry Red Records Group is pleased to announce the release of an official 50th Anniversary edition of “The Magnificent Moodies”, the 1965 debut album by The Moody Blues, on the 24th November 2014. Now associated as being pioneers of progressive and orchestral rock, the Moody Blues had another life between 1964 – 1966, as one of Britain’s foremost Rhythm and Blues influenced acts. With a line-up of DENNY LAINE (Guitar, Vocals, Harmonica), RAY THOMAS (Vocals, Harmonica, Flute), MIKE PINDER (Keyboards, Vocals), CLINT WARWICK (Bass, Vocals) and GRAEME EDGE (Drums), the band signed to a London-based management company who leased recordings to Decca Records. The band’s second single, a cover version of Bessie Banks’ “Go Now!” was a huge chart success across the world. Their debut album, “The Magnificent Moodies” was released in1965 to great acclaim and tours with The Beatles eventually led them to become part of Brian Epstein’s management stable. The band continued to record a series of singles, enjoying further chart hits in the UK and Europe, before Clint Warwick departed to be replaced by ROD CLARKE and then finally dissolving in the Autumn of 1966 and reinventing themselves stylistically with a new line-up including JUSTIN HAYWARD and JOHN LODGE.